Writing can be amazing. It can transport you through time and space. It can make you care for people and places that never existed. It can start wars, heal wounds, and connect people who may never otherwise have met. It can also be scary as hell, especially if you're the one doing the writing. A blank page can be very intimidating. There is endless potential for something amazing, and there is also the potential for complete disaster. The good news is that even if the writing is a complete trainwreck, it can be helped. And if it can't be helped, it can be a building block to something better. 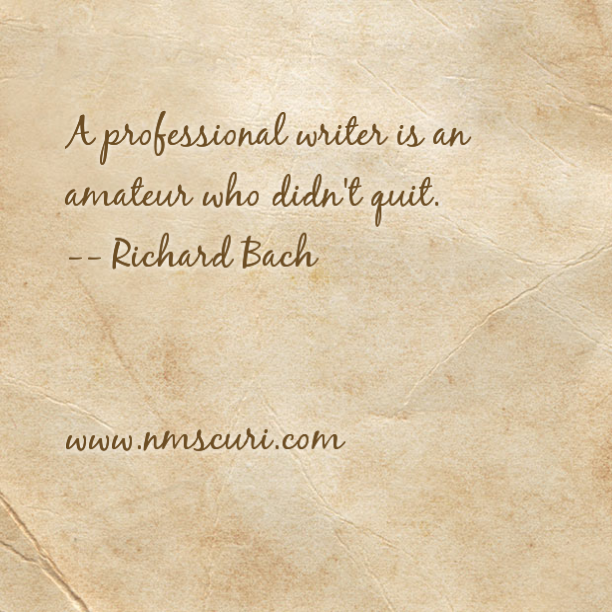 The only way you can completely fail at being a writer is to quit. So don't quit.